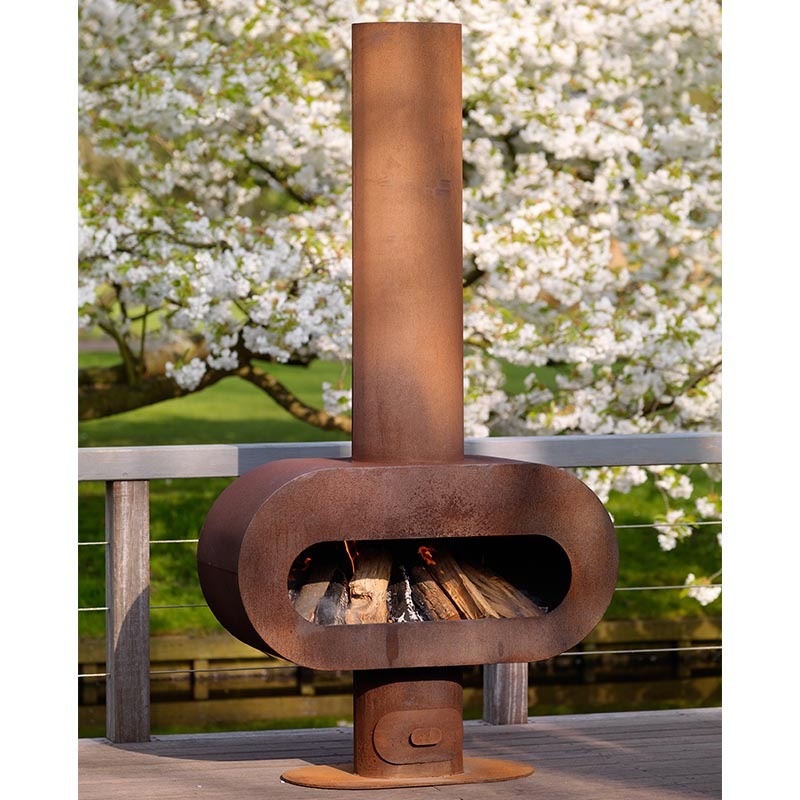 This fantastic piece works as a brilliant outdoor fireplace, can also be used indoors. With option to be free standing or built in and also be used as a barbecue. Perfect for those light evenings in the garden, this fantastic item will not fail to impress. The Zeno Barro Outdoor Fireplace really will be a great new aspect to your garden and be something you can enjoy for years to come. Includes Ashtray or ash bucket and have safety laminated back. Can be positioned free standing or built in. Designed to rust with time, for a great rustic effect. Cannon: begins at 50cm height - 25 x 90cm. With extra wide opening so bbq fire and set on fire at the same time is possible.